Included below are homes for sale in Poway. If you would like more information on any of these Poway real estate listings, just click the "Request More Information" button when viewing the details of that property. We can provide you with disclosures, past sales history, dates and prices of homes recently sold nearby, and more. And, if you haven't already, be sure to register for a free account so that you can receive email alerts whenever new Poway houses come on the market. The valley of Poway, the “City in the Country" has a rich history of ranching and farming with a reputation for it's vineyards and peaches. Poway was a part of San Diego's unincorporated area until 1980. Half of Poway today is dedicated open space. Poway is known for it's annual family-oriented events such as the Old Fashioned 4th of July, Train Song Festival, Christmas in the Park, and the Youth Fishing Derby. Adjacent to Old Poway Park you will find the Farmers Market on Saturday's. Rich in Heritage you can experience vintage and antique train rides at Old Poway Park’s miniature train visit the Nelson House & exhibits, and the Heritage Museum. 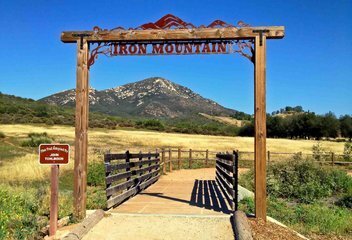 The rural portion of Poway is horse friendly where you can find horseback riding at Lake Poway, the Poway Equestrian Center, and nearby Iron Mountain Trailhead. Other notable recreational opportunities include the Lake Poway Archery Range, boating and fishing at Lake Poway, as well as fifty five miles for hiking and biking. Some of the top employers in Poway include General Atomics Aeronautical Systems, Geico Direct, Cohu, Pomerado Hospital, and the Poway School District. The two private country clubs in Poway are the StoneRidge Country and the Maderas Golf Club. Designed by former PGA Tour player Johnny Miller and Robert Muir Graves, Maderas is rated by Zagat the top ranked Golf Course in San Diego County for seven consecutive years. Maderas is the most affordable top tier club in San Diego with a Players Club membership program with a silver, gold, & platinum level based on how frequently you play. StoneRidge has a very affordable country club membership that includes full golf, tennis, swimming, dining and social benefits. Considered one of the best public school districts in the entire state of California, the Poway School District is expansive with six high schools, seven middle schools, and twenty six elementary schools! When searching Poway gated communities you will find gated homes for sale in the high end gated communities of Bridlewood Country Estates, Green Valley Glen, Green Valley Estates, Huntington Gate, Old Coach Collection, Lomas Verdes Estates, The Grove, Del Poniente, The Heritage, and Country Ridge Estates. Rolling Hills Estates is an exclusive community of custom built homes with no HOA and no Mello Roos. Rolling Hills Estates is south of Scripps Poway Parkway and located in North Poway. Streets include Treadwell Dr, Berea Ct, Creek Bluff Dr, Stonemill Dr, Eastfield Rd, and Travertine Crt. The Palisades is an exclusive neighborhood located in North Poway. The Palisades homes are custom built homes with magnificent panoramic views. Chimney Rock is an exclusive neighborhood located in North Poway. Chimney Rock homes are custom built homes with magnificent panoramic views. Country Squire Estates is an exclusive community in North Poway. Country Squire Estates are custom built homes with magnificent panoramic views.